The VoIP (Voice over Internet Protocol) market is so competitive these days. There are so many different companies trying to vie for the same market, it is unreal. While many consider only three companies – RIM, Google, and Apple – to be in real competition, Facebook might just make an appearance. The key to making any of these services be in high demand is to create the right buzz through Internet marketing programs. The right program should the right people to the technology. Here’s the reason why people feel that a Facebook-created physical mobile phone is such a bad idea: they believe that the popular online social media website has no business being in the ring with the rest of the heavy hitters. The best bet being thrown out for Facebook is to create a VoIP like Google Voice and stick to creating a “softphone” instead. The softphone can easily be marketed through Facebook itself as a natural progression for those who already stay in contact for most of the people in their life through the site. VoIP phones are marketable through the Internet because it is not expected that you will try to do everything with it. When using a smartphone, you want to try and do just about everything with it. It is a big deal to jump into making a mobile phone purchase. Something like a softphone is not as big of a deal. You are willing to take more of a chance on technology which seems fun rather than technology which should already be on-point. The argument stated above is why companies like Skype are looking for ways to create apps and mobile models rather than creating an actual mobile platform. Facebook still is denying trying to create anything that is akin to a VoIP business phone system. Denials of this nature are par for the course when creating something you hope to keep secret. Of course, many are hoping Facebook is telling the truth as it would be an Internet marketing nightmare to get off of the ground. 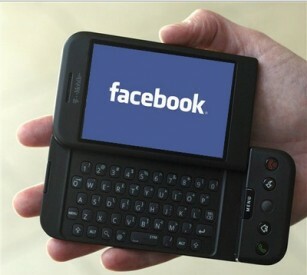 Most people want Facebook to be accessible by their phone; they don’t want Facebook actually creating their phones. The only way most people can see themselves talking on a phone through Facebook is if it is a soft phone. Many will point to the success of the Android and how the platform was created by Google. While the phone has been amazingly successful, it is important to mention that until about a year ago, the phone was largely being ignored by the population. It was not until the slick television campaigns that people started paying any real attention to the new technology. Many said Google had no business creating a mobile phone and now they are eating their words. If Facebook is creating a new phone platform, they surely have their work cut out for them in trying to get the rest of the population to accept it as a viable technology. It is also clear the marketing can only partially be through the Internet.